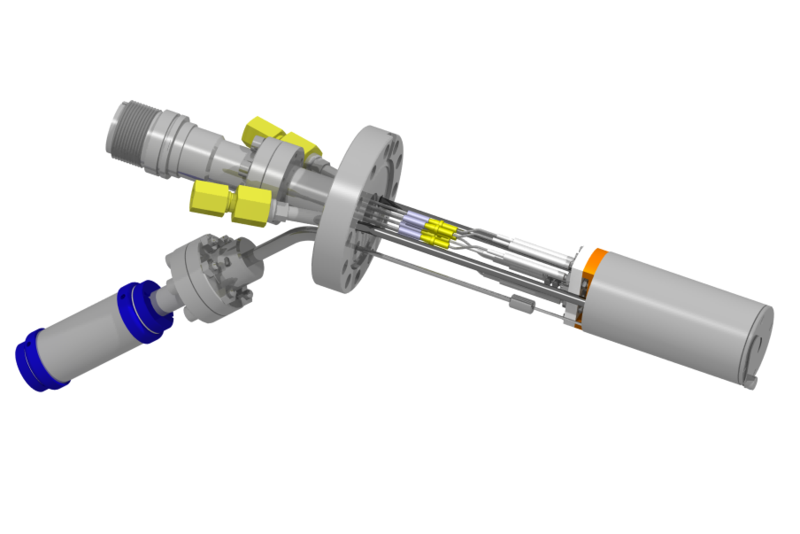 The main purpose of sample transporters is to transit samples between UHV-chambers, using various matching accessories. The sample transporters listed above are especially sturdy, all metal sealed, linear-rotary feedthroughs. A set of rare earth magnets on the air- and vacuumside provides the necessary force to ensure a rigid coupling from handle to shaft.